G2 is the ultimate pen for the everyday overachiever. 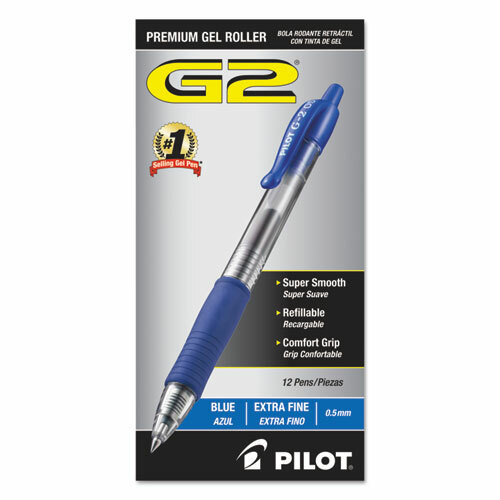 Pilot G2 is America's #1 Selling Go-2 gel ink pen (NPD, 2017) G2 writes smoothly, has a comfortable rubber grip, and has been proven to write longer vs. the average of branded competitors. Make G2 your Go-2 pen! *Source: #1 Selling Gel Pen, NPD. Data on file . **Independent ISO testing. Average of G2 write out (all point sizes) compared to the average of the top branded gel ink pens tested (all point sizes). Data on file.